2018 When, what and why do clients take work in-house? Hear what over 550 clients (business owners, CMOs, VP of marketing etc.) 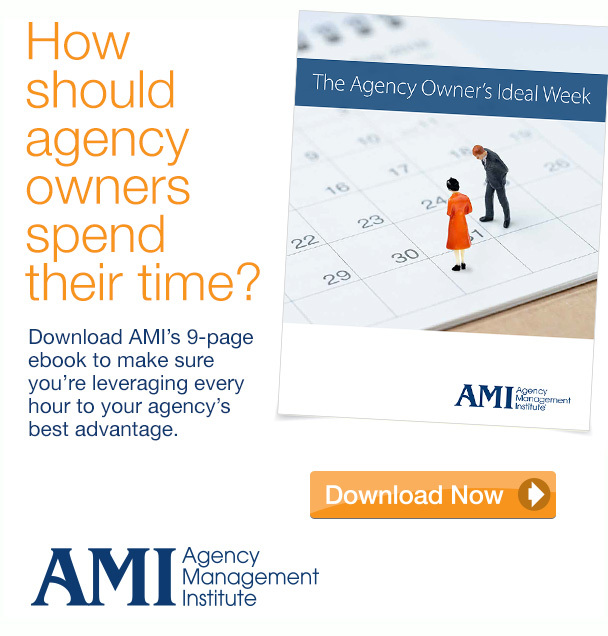 had to say about the decision to outsource work to an agency versus bringing it in-house. We asked them about the decision making process, the factors that influence them and who else in the organization has a say. 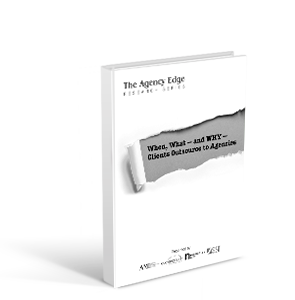 You will learn from these clients what kinds of work they want their agencies to do, what frustrates them enough to pull work in-house and how they feel about their own, internal resources. We also tested many of the assumptions (it’s about cost, smaller clients with fewer internal resources outsource more, etc.) that agencies make every day. We think you’re going to be surprised at what we learned. Fill out the form to download the 20 page executive summary.